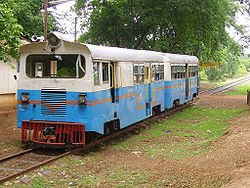 Talguppa lies on the Shimoga-Talguppa railway line which is meter gauge. This is to be converted into broad gauge under project Project Unigauge to Birur to the east. Info on Sigandooru Sigandooru is a holy place of Goddess Chaudeshwari. A large temple of Goddess Chaudeshwari is situated here. This place is located in the other side of backwater of river Sharavathi. Situated in the midst of highly dense forest, it attracts thousands of people every day. 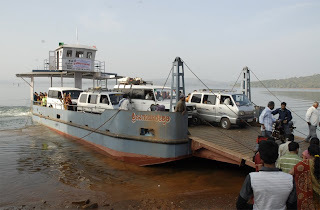 We need to cross the Sharavathi back water by barge (launch- big flat Boat like) to go to Sigandoor. It is a mesmerizing experience to go to Sigandoor. This Goddess is a highly believed deity in Sagara and the surrounding taluks as a protector against theft and robbery. Coupons for entry will be distributed on first come first serve basis. 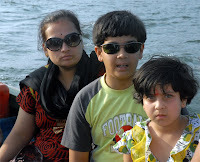 Holebaagilu is situated on the banks of the Sharavathi River at about 30 km fro m Sagara. One has to take a diversion from B. H. Road towards Ikkeri Road to get there. The Sharavati backwaters of Linganamakki dam has submerged acres of land here. It is a place of natural beauty. It is situated in Kolur Grama Panchayat Limits. One has to take a "launch" (flatboat) to get across the backwaters to reach the other side where Sigandooru is located. The ride is really enjoyable. The first priority is given for localites and their vehicles in this launch since they are the affected ones due to this submersion. 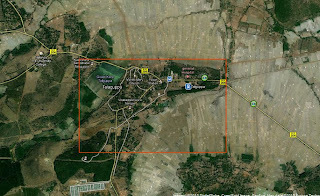 Madenur Dam which was submerged due to the construction of the Linganamakki Dam is at a short distance from here. It can be seen only during summer. Ikke ri (Kannada: ಇಕ್ಕೇರಿ) is situated in Shimoga district of Karnataka state at about 3 km to the south of Sagara. The word Ikkeri in Kannada means "Two Streets". 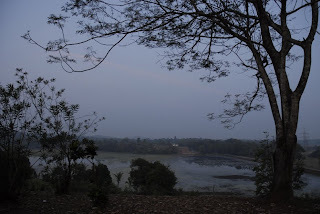 This place was the capital of the Keladi Nayakas for some years. The walls of the city were of great extent, forming three concentric enclosures. In the citadel, was a palace built with mud and timber, adorned with carvings. Today what remains is the temple of Aghoreshvara (one of the several names of Lord Shiva), a large and well proportioned stone-building, constructed in a mixed style with a unique conception. This place is situated 6 km fro m the town where one has to take a diversion from Jog Road soon after the end of the town limits. It is famous for the samadhi of His Holiness Sri Sridhara Swami who was among the great saints of 20th century. 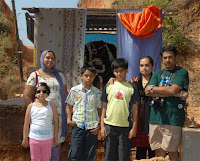 A Shiva temple of historical importance is located here. It is located at a distance of 6 km from the town. One has to take a diversion at Sorab Road. There is a museum containing old manuscripts written during the times of the Keladi dynasty. This was the capital city of the Kingdom of Keladi, a feudatory of Vijayanagara Empire. After the disintegration of Vijayanagara Empire in the Battle of Talikota, the Keladi Nayakas created an independent kingdom and it remained so until it was annexed to Mysore Kingdom by Hyder Ali. Shivappa Nayaka and Chennamma were the rulers of this kingdom. There is a Rameshwara temple at Keladi which is built in the Hoysala-Dravida style. The sanctuary has mainly evergreen, semi-green and som e moist deciduous forests. Trees in the evergreen forest include species such as Dipterocarpus indicus, Calophyllum tomentosum, Machilus macrantha, Caryota urens and Aporosa lindleyana. In the semi-evergreen and moist deciduous forests, common species include Lagerstroemia lanceolata, Hopea parviflora, Dalbergia latifolia, Dillenia pentagyna, Careya arborea, Emblica officinalis, Randia sp., Terminalia sp. and Vitex altissima. From there we visited the Vodenbyle where we had a darshan of Goddess Padmavathi and a Jain Temple over there, one has to seek a permission from the Security of the KPC Office because it falls enroute Linganamakki Dam Route, full dense forest route, nice journey to reach the place VODENBYLE after having a darshan we moved towards the backwaters of the Sharavathi we had a nice speed boat ride and from there we came back to Sharavathi Nature camp and visited the Muppane Nature Camp it was also one of the best nature camp on the backwaters of Sharavathi- Halting is not permitted because of lack of infrastructure over there and having a cup of black tea we came back to our camp and had dinner. 27th Dec 2009 : We decided to move towards Murudeshwara, before visiting the place we had a darshan of IDGUNJI Ganapathi from there we reached Murudeshwara,heavy rush over there because of Christmas Holidays finally we managed to have darshan of Lord Murudeshwara and having lunch over enroute we reache Kollur Mookambika Temple and also have a darshan of Goddess Mookambika and from there we departed the last leg of journey towards Bangalore, We reached Bangalore on 28th Dec 2009 by 5 am.